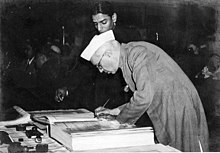 ↑ "Introduction to Constitution of India". Ministry of Law and Justice of India. 29 July 2008. Retrieved 2008-10-14. ↑ "Kesavananda Bharati ... vs State Of Kerala And Anr on 24 April, 1973". 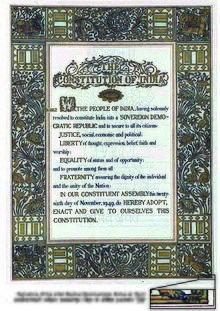 indiankanoon.org. Retrieved 3 August 2018.